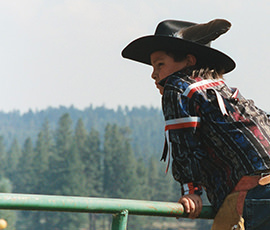 During the first two weeks of June, NARF Staff Attorney Brett Lee Shelton and others from NARF’s Indigenous Peacemaking Initiative will be in southeastern Michigan for the Cinetopia Film Festival. 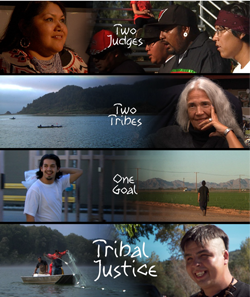 At the festival, they will be participating in discussion panels following the showing of the film, Tribal Justice, which is being presented in partnership with the Washtenaw County Peacemaking Court. Tribal Justice focuses on two Chief Judges, the Honorable Abby Abinanti and the Honorable Claudette White, of the Yurok and Quechan Tribal Courts, respectively. Over a period of three years, cameras document their committed efforts to rehabilitate tribal members. With attention and kindness, these judges exercise tribal sovereignty in order to raise their constituents out of inequality and hardship. Tribal courts number in the hundreds throughout the United States. They offer a traditional, communal justice system for Native Americans and have become beacons of criminal justice reform due to their emphasis on restoration and rehabilitation rather than punishment and incarceration. We hope that those of you in the area will join us for a film screening and discussion panel. The film will play on Saturday, June 3, and Wednesday, June 7, at the Michigan Theater as well as Saturday, June 10, at Cinema Detroit and Sunday, June 11, at the College for Creative Studies.